RC Excavator Just $31.99! Down From $89! PLUS FREE Shipping! You are here: Home / Great Deals / Amazon Deals / RC Excavator Just $31.99! Down From $89! PLUS FREE Shipping! Score this RC Excavator at Amazon for just $31.99 down from $89 PLUS FREE shipping! 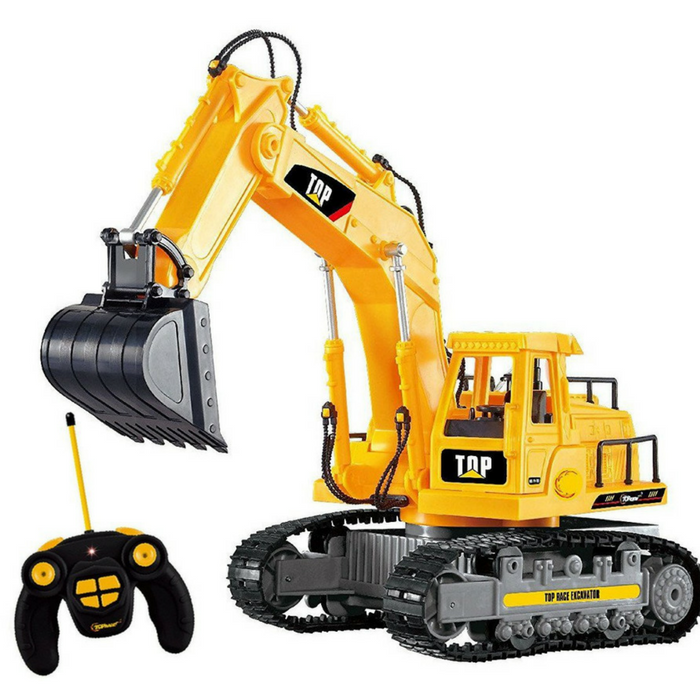 The Top Race RC excavator Remote Control Tractor is Ready-to-Run (RTR) no assemble is required. The tractor works with a wireless remote and a lipo Rechargeable Battery. Battery and charger all included. A 30min. charge will give you about 15-20 min. of fun. The fact that this RC excavator toy really works like the real thing is the most amazing aspect. Every part of the radio controlled excavator, including the scoop, is controlled by the transmitter You can actually scoop mud or pebbles with your RC excavator in real life. Make your own backyard into your very own Construction Site! Length: 14″ Width: 6″ Height: 8″, Rc Lipo Battery and Charger included.